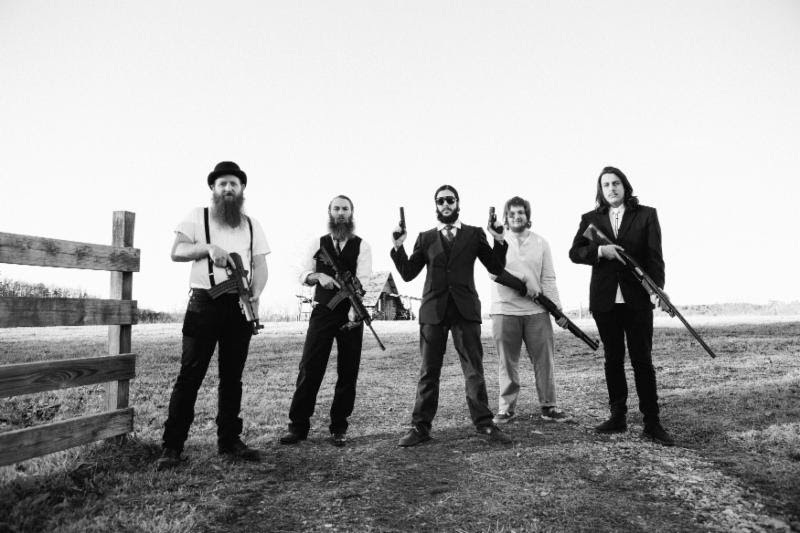 Fayetteville, AR’s SHAWN JAMES & THE SHAPESHIFTERS have debuted a new track from upcoming album The Gospel According to Shawn James & The Shapeshifters. Stream “Wild Man” at this location. The Gospel According to Shawn James & the Shapeshifters will be released April 7. The album could be described simply as “rock and roar.” At times, it evokes both Son House and SunO)))), with haunting fiddle and plucking banjo amidst swampy, fuzz driven slide guitars. Other parts are like a fog rising from a cave, while others come crashing like a thunderstorm. Recorded at Insomiac Studios with engineer Adam Putman and featuring the stunning cover art of Polish artist Karol Bak, the new album offers the band’s hardest hitting material to date. The Gospel According to Shawn James & The Shapeshifters is just what the doctor ordered! The band will be hitting the road April 9 in Fayetteville, AR and will tour throughout the remainder of month and on into May. Go here for a complete list of tour dates/locations. SHAWN JAMES & THE SHAPESHIFTERS have been wowing fans with their swamp-born, high energy rock ‘n roll since releasing The Wolf in early 2013. The debut was the first in a trilogy and was followed by The Bear (June 2013) and The Hawk (January 2014). A righteously rockin’ album of cover songs recorded live, aptly titled The Covers, was released in May 2014. Quickly establishing themselves with an impressive body of work and a reputation as a formidable live act with 260 dates in the U.S. and Europe already under their collective belt. This entry was posted on 5 April 2015 by dewanada. It was filed under Tak Berkategori .